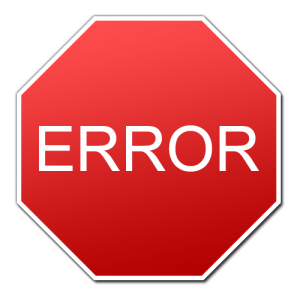 Error handling is one of the essential skill developer should have. It was very difficult to handle error efficiently till SQL Server 2000. 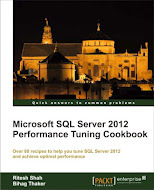 After SQL Server 2000, we have get TRY…CATCH in SQL Server along with RAISERROR in SQL Server 2005. RAISERROR is even improved in form of “THROW” in SQL Server 2012. Let us see how “THROW” command works for error handling efficiently in SQL Server 2012 because without know the error/bug in application, you can’t solve it. It is not possible/feasible, sometime, in big production environment to replicate same issue in development database, at the sametime, we can’t execute some command/query on live environment if it is affecting client’s data so efficient error handling is required so that you can log proper error along with its message, error number and other important things. Let us create sample temporary table in AdventureWorks2012 database, if you don’t have Adventureworks2012 database with you, you can use your own database as I will be having temp table for this demonstration. Now let us try to execute one UPDATE statement where we will have one division operator which divide on “OvertimeAmount” field. We have value “0” with row number 2 so obviously we will be facing an error. We have same UPDATE statement so obviously we will be getting error message again but this time, it will come by “RAISERROR” command. Here is the output of RAISERROR. Look at the error number and error line. It seems wrong because of “RAISERROR”. Let us now try to handle the error with “THROW” command. I have recently seen many of the developer who are using SQL Server 2012, still uses “RAISERROR” as against “THROW”. I would highly recommend start using “THROW” command. This entry was posted in Error Handling, RAISERROR, sql server, THROW, TRY...CATCH and tagged Error Handling, RAISERROR, THROW, TRY...CATCH on January 26, 2013 by Riteshshah.